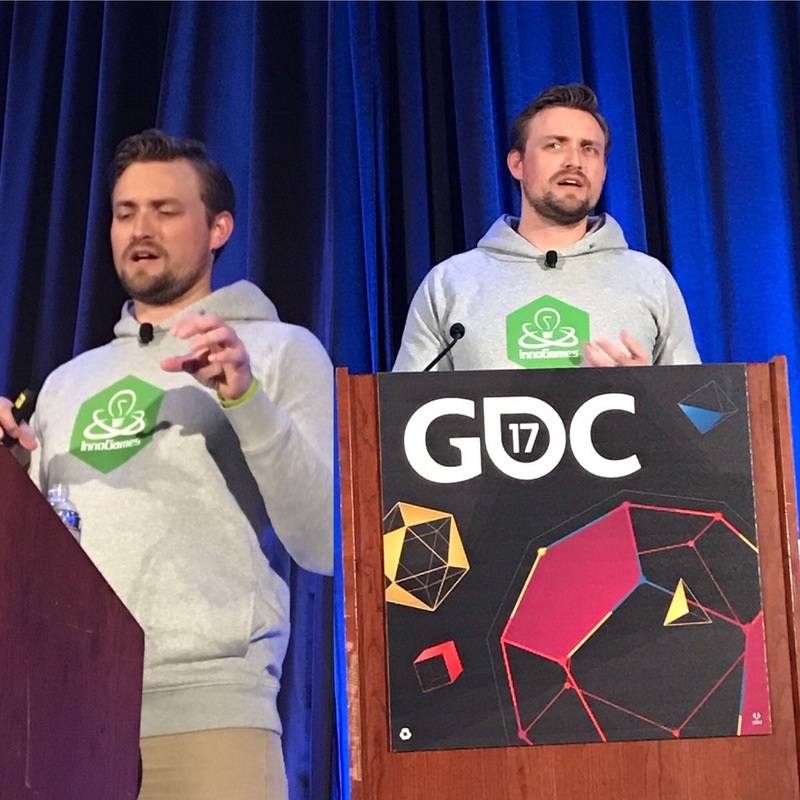 In my last post I already talked about the experience of talking at a big developer conference like GDC. This time I want to share some research that I did regarding the number of talks at GDC. I want to talk about the number of visitors, speakers, sponsored talks and more. I wanted to mention in this post how many speakers actually talk at GDC. So I mentioned GDC aimed to get 27.000 visitors in the beginning, right? Thats massive, but what is also massive is how many speakers they have. I counted how many speakers are in there for letter ‘A’ through ‘D’ and it is 256 (give or take) that makes for an average of 66 per letter and that leads us to round about 1.200 speakers overall (considering some special chars like ‘x’ and ‘y’ with less names. Now I talked in the programming track and so I focused a little more on that and counted again. There were 150 programming talks overall. What caught my eye while counting those was the many presentation titles with the words “(presented by XYZ)” in the title. Turns out these are sponsored sessions - companies payed money to place that talk. So I counted again: 66 sponsored talks. Now there are also a couple of ‘Tutorials’ and ‘Roundtables’ and leaving all of these out there were only 56 raw talks left in the programming track. That made me humble actually because it means out of 56 non-sponsored programming session slots possible I got one! Wow! But seriously it will be quite interesting to see if those numbers change over time, if the amount of sponsored sessions increase.